Welcome to the Wonderful World of Floato! Now selling in more than 30 countries Floato™ balloons are the easy way to personalize retail friendly printable balloon solution. Magic International Limited is the Sole worldwide distributor of Floato™ Balloons. They don't require an expensive professional-grade printer and can be printed in about a minute and sold for an attractive price to your customers. Floato™ is the easy-to-personalize, retail friendly, high quality 22 1/2" Helium inflatable photo-balloon with a large print area. Floato™ can be printed in about a minute and can be sold for an attractive affordable price. Floato™ does not require an expensive professional-grade printer or software, or any specialized training to use. Floato™ is dry to the touch virtually instantly. Floato™ can be printed on an inexpensive inkjet printer. Floato™ Ink costs can be minimal; from 10p or 15 cents per balloon. Floato™ comes with elegant, easy-to-use software that has been specially developed to make designing images a fun, creative experience. This software is available FREE for download on the Floato™ website. No need for Photoshop or to learn anything new! America’s largest foil balloon manufacturer produces Floato™ printable balloons to the highest possible standards in America exclusively for us. Floato™ are packaged in a strong, vacuum-sealed bag, guaranteeing they arrive at the retailer in perfect condition every time. Floato™ can be sold both printed and inflated, or flat and posted. Floato™ has 14 years of granted patents unexpired. 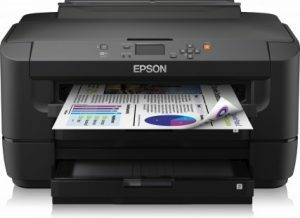 Magic International Limited recommends the use of, and will currently only support retailers using the printers we recommend like the Epson Photo 1500W A3+ format Inkjet Printer, the Canon Pixma PRO-100 and the Epson WF7210. Floato™ may successfully print on other makes of A3+format Inkjet Printers, including Canon and HP, but neither the manufacturers of Floato™ or Magic International will assume any responsibility or liability for the results, which may damage the printers or the balloons or both. Floato™ can however also be used on professional grade wide-format printers like The Epson Stylus Pro 3880 and the Epson Stylus Pro 4900 which we do support and Instructions and a template are on the website. You can however also use many of the Canon range of desktop printers starting with the Canon Pixma Pro -100 upwards, for example the Canon Pixma Pro 9000. FYI – Laserjet printers cannot be used at all– as the heat produced in the LaserJet print process damages the balloon. Get the Latest Alerts about Floato products and Offers! We are constantly working hard to bring our loyal customers special offers on Floato balloons. 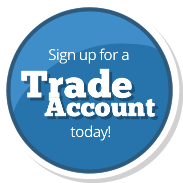 Make sure to sign up now to ensure you receive all the latest up to date deals.